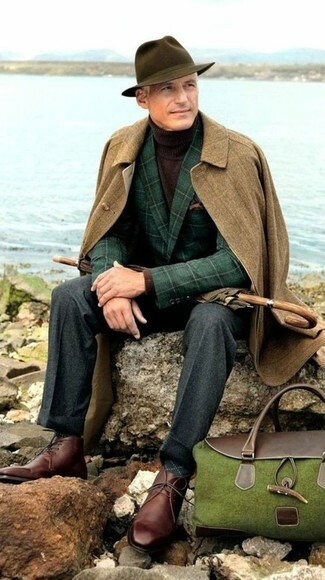 Pair a dark green check wool blazer with charcoal wool dress pants to ooze class and sophistication. For something more on the daring side to complete this getup, go for a pair of dark brown leather desert boots. 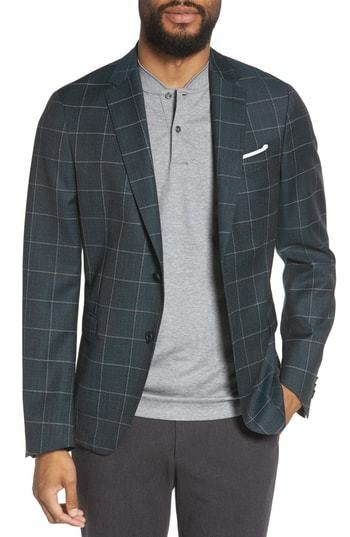 This combo of a BOSS nobis trim fit windowpane wool sport coat and black chinos is so easy to throw together without a second thought, helping you look awesome and ready for anything without spending a ton of time digging through your closet. Let's make a bit more effort now and choose a pair of dark brown leather double monks.